Long a favourite of travellers who like their beach break with a side of culture, Corfu is the greenest of the Ionian Islands and its historic wealth built great libraries and centres of learning - and gorgeous villas, many of which have become some of the best places to stay in Corfu. Corfu has been welcoming tourists for 130 years at least and it's not an empty boast when the island's tourist board says they have something for everyone. 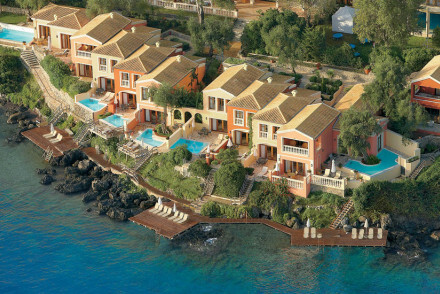 There are resorts all along Corfu's coastline with the highest density around Corfu Town. To the north where there are some very private feeling coves. The landscape inspired Homer, who called it a 'beautiful and rich land'. Mountainous in the north with steep, dramatic cliffs and pebbly coves, it flattens off below Corfu Town and the beaches become sandier and longer. The interior is a picturesque mix of cypress forests and farmland. Corfu Town is the island's capital and is home to many of the best museums and most beautiful architecture. The Spianada, the esplanade between the Old Fortress and the Old Town, is where you'll find many of the highlights. The Old Royal Palace, now the Museum of Asian Art, is to the north of the Spianada and the Liston, built by Napoleon to resemble the Rue de Rivoli, is to the west. Corfu Town is also where the ferry services leave - it's worth spending the day on lovely Paxos if you have time. Corfu's oldest village, Old Perithia, is Heritage Listed and a really interesting place to stroll around. It has only 130 houses, yet eight churches! It was built high in the mountains as a hideaway from pirate attacks and because of this it was, at one time, Corfu's wealthiest village. Benitses, once a fishing village and now an historic tourist town - it's only a short distance from the Achilleion Palace. The beaches along Corfu's south side tend to be sandier, especially to the south west, but it's the eastern coast where waters are calmer. Though the waters are a beautiful shade of bright blue wherever you go. If you're looking for more isolated beaches try Pelekas, Glifada or Prasoudi. If you're here with kids, one of the best beaches for them is probably Massonghi beach. As you'd imagine the island gets very busy during the peak summer months, so if you want to reserve one of the best places to stay in Corfu in July or August, you'll need to get organised and book well ahead. The Bella Venezia is right by the 'Spianada' and within easy walking distance of the main attractions in the main town. 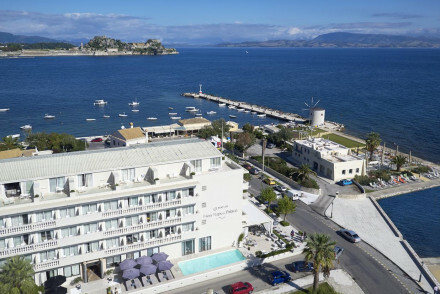 The Corfu Palace has an excellent location, just 10 minutes stroll to the centre of town, and yet you still have wonderful ocean views - right across to the mainland. 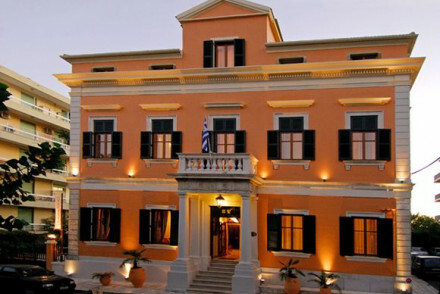 The Corfu Palace was one of the first hotels built on Corfu, so it has something of the grand old dame about it. With private balconies and terraces. If you want to be part of the old town, as well as close to it, the Siorra Vittoria is probably suitable. A gorgeous neo-classical building right by City Hall Square and the Ionian Parliament. Originally a mansion, this hotel is elegant and charming, a good choice for a romantic sunny break. 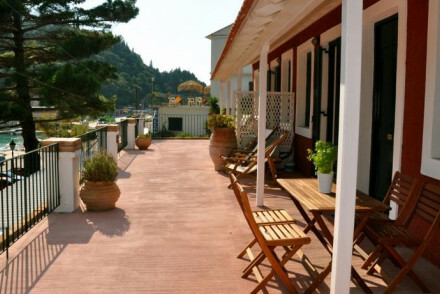 The Zefiros Traditional Hotel is right on the beach in one of Corfu’s most idyllic villages where the mountains seem to roll right down into crystal clear waters. There are just 11 rooms and you’re close to bars and restaurants. The Merchant’s House in the heritage village of Old Perithia is a beautiful restored historic house with six Venetian-style rooms with private balconies. Charming and relaxed. Delfino blu ticks all the boxes being located just above one of Corfu's most beautiful beaches but also close enough to Sidari so that you can visit the nightlife. The Marbella Beach Hotel is perfect if you're planning a beach break. Five star luxury right on a private beach - you have everything you need here and more. Including four different restaurants, watersports facilities galore, an extensive spa, pool and the opportunity to do some sailing or diving. 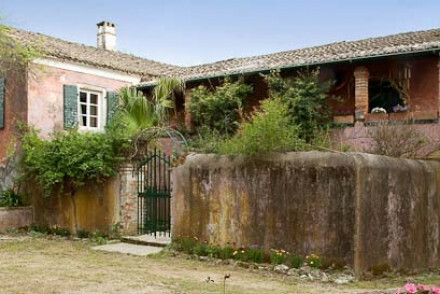 Hidden away in the countryside, the Villa de Loulia is very peaceful. Only 400 metres from the nearest beach, you're also quite close to the mountains of Perithia and several interesting abandoned villages. This is also a great place for foodies - the gourmet restaurant serves local specialities. The Sidari Beach Hotel is right on Sidari Beach just a short stroll from the centre of the village. 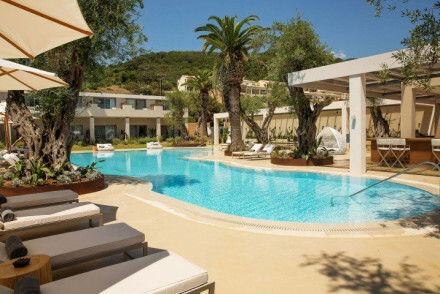 There are 31 elegant and contemporary rooms, a restaurant serving Greek and Italian cuisine and a beautiful pool. 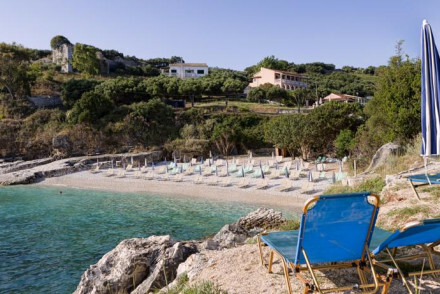 The 21 room Bella Mare Hotel describes itself as ‘seriously relaxing’. The accommodation is in studios and apartments - with kitchens and sea-facing balconies - and the decor is chic. There are also lovely gardens and a pool. The Pelecas Country Club started out as a farmhouse in the 18th century and has 11 rooms in the converted stables and old olive press. The rooms and suites are full of character and they serve a hearty brunch until 11am. If you're hoping to find a comfortably priced spa resort check out the Kontokali Bay Resort & Spa. When you consider you're getting a private beach, sea views, access to a 'Wellbeing Centre' and all the gadgetry and mod. cons. you could ask for then you'll see the excellent value. 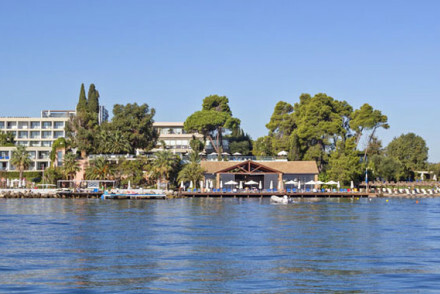 The Corfu Imperial is a big, grand hotel with private beaches, a range of restaurants and superb leisure and sports facilities. It’s a destination in its own right and can accommodate any configuration of people you’re travelling with comfortably. 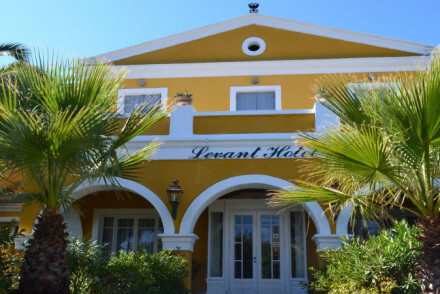 Very reasonably priced at with rooms starting from €74 per night, the Levant Hotel has a peaceful setting in the hills above the Ionian sea. This lovely neo-classical hotel is a great place to relax if you like a country house hotel vibe. 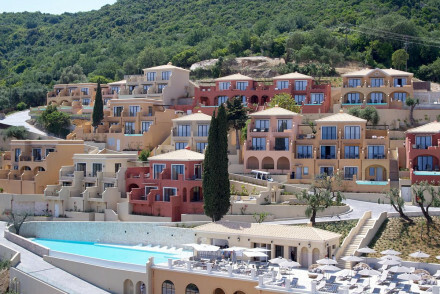 From only €75 per night you can stay at the Melina Bay Hotel which is right under Kassiopi Castle on the beach. There are just 20 rooms, a Mediterranean restaurant on a scenic terrace and helpful staff. Corfu International Airport is well connected to the UK.and other European destinations. The airport is about a mile out of Corfu Town and there’s a shuttle bus - the number 15 - which travels into town fairly regularly. You can also arrive by ferry or cruise ship, which all dock at the New Port about half a mile out of town and also served by the number 15 bus. If you want to hire a car - which we highly recommend if you’re staying in Corfu and you want to see the island - we recommend you visit our online partner Rentalcars. Quite a lot of people swear that summer in Corfu is better than in the rest of the Mediterranean with cooler, fresher weather than the mainland or other islands. July and August temperatures will get into the mid-30s, but between May and June and September and October the temperatures are mid-20s to 30-ish with a pleasant breeze, and for most of us that’s pretty perfect. Or consider one of Corfu’s neighbours? Kefalonia? Ithaca? Kythira? Charming family-run hotel in a 17th-century manor, comprised of self-catering villas surrounded by a large garden with a pool. Friendly interiors are unpretentious with bare stone, wooden beams and fine wood furniture, while fresh bedrooms feature pretty floral fabrics. An idyllic country base. A modern design hotel close to a beautiful beach, with a swimming pool, choice of bars and a quality restaurant. It's a wonderful medley of old and new, with fine antiques and old mirrors rubbing shoulders with contemporary furniture, while the sophisticated dove-grey rooms have great views. 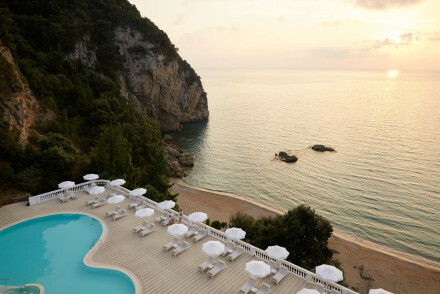 Lovely neo-classical hotel in the hills above the Ionian sea. Attractive traditional building, charming rooms with sea facing balconies, lovely terrace and cafe, and swimming pool. 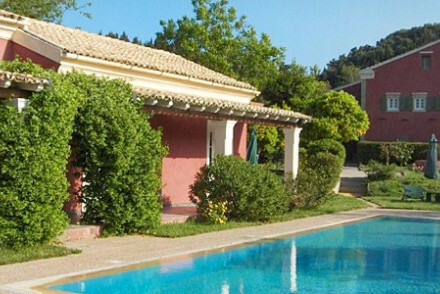 A great value choice within striking distance of beaches, golf and Corfu Town. Suited to couples, families and groups. Groups - The hotel welcomes groups of artists, musicians and yoga enthusiasts. Views - Breathtaking views of the Ionian Sea. Ultra hip hotel located at the beach with sea views from every room. Red brick walls, antique furniture evoke a traditional style with all modern facilities. A cafe-bistro at the ground floor serves breakfast and light snacks. Full of character. Located under Kassiopi Castle, this beach side hotel has been recently refurbished in a contemporary style with neutral, calming colours. A terrace restaurant with views of the harbour serves classic Mediterranean dishes with a good wine list. Staff are happy to help with organising excursions. A stone's throw from both the village centre and nearby Sidari beach. 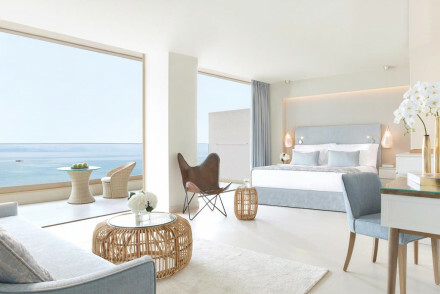 Elegant and contemporary rooms offer fantastic views of the ocean. The restaurant, serving Greek and Italian dishes, is inspired by local cuisine and ingredients. 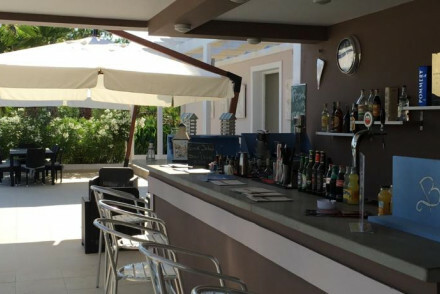 Enjoy Corfu's landscapes from their pool with a snack bar. Five Star luxury on the beach. Contemporary chic rooms, suites, and apartments in creams and whites with all the mod cons and sea-facing balconies. Fabulous restaurants, extensive spa, gorgeous pool and lounge area, private beach. Romantic, family friendly, often good value. Restaurant - 4 restaurants; seafood, Mediterannean, Greek, Italian. On the beach - Private beach. A traditional townhouse hotel with sophisticated living areas and contemporary rooms and suites. Excellent value for its central location. A smart choice with no added frills. Sights nearby - Central location in Corfu Town a stone's throw from the "Spianada" and easy walking distance to all main attractions. 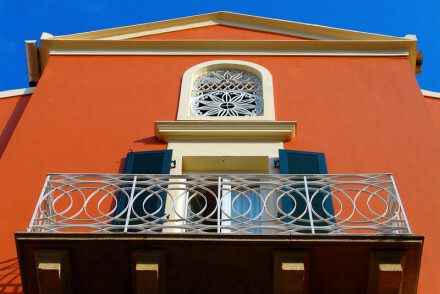 A gorgeous neo-classical mansion in Corfu's old town. Elegant rooms and suites have parquet floors, high wooden-beamed ceilings, and all the mod cons. Lovely garden, sitting room, and breakfast dining room. Easy access to restaurants, beaches and sights. A great choice for romantics and groups. 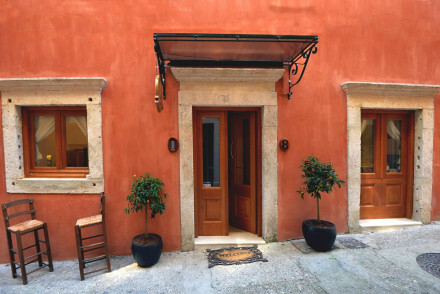 A charming little hotel in a lovely old Venetian building. Pretty interiors feature floral fabrics and rustic wooden furniture and fittings, creating a homey and friendly ambience. The minimal-chic rooms are embellished with natural materials and artisanal artwork. A convenient and cosy base. "Serious Relaxing" is how Bella Mare describes itself. Offering studios with sea facing balconies and apartments with kitchens. It is great for families. Very chic and boutique, it has lovely gardens and a swimming pool. Clean, comfortable and great value. One of the first hotels to be built on Corfu. A large imposing building in a prime location. A mixture of contemporary and old-fashioned rooms with private balconies/terraces. Good spa, pool, restaurant. Well equipped, friendly staff, excellently positioned. Wonderful beach boutique hotel with contemporary chic suites and apartments. Fabulous Greek restaurant, champagne breakfasts, pool and beach bar. Very romantic, yet still family friendly (some apartments sleep 4). A great choice for a faultless beach holiday. Foodies - Wonderful Greek restaurant. A small historic house beautifully restored maintaining a traditional style. Wrought iron beds, venetian style furnishings and balconies. Close by to several local eateries. Breakfast is included and served in the private terrace. Charming and utterly relaxed. Contemporary chic hotel and spa resort with private beach. Rooms, suites and garden bungalows have creamy furnishings, wooden floors, modern gadgetry and sea views from private balconies. Extensive spa, salt water infinity pool and good restaurant and bar. Great for a beach holiday, family friendly. 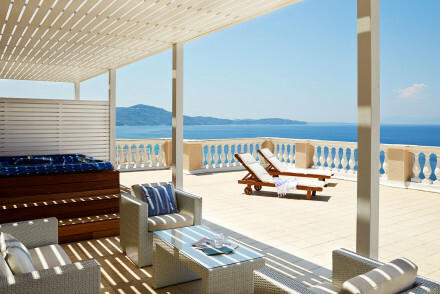 A luxury beach hotel with suites featuring private pools and great views. The terraced design in Corfiate colours nods to the island's Venetian and Greek heritage with arches and terraces, while rooms are light and stylish. Offering two restaurants and a private beach- an ideal romantic retreat! A romantic manor house hidden away in the countryside, but driving distance to the beach. 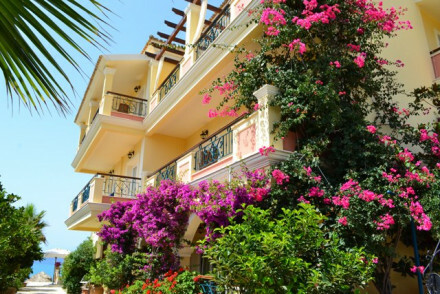 Traditional elegance throughout; pink archways strewn with bougainvillea, pastel bedrooms and suites, and lovely central courtyard swimming pool. Excellent table d'hote. Sights nearby - Mountains of Perithia and discover the ancient abandoned village. 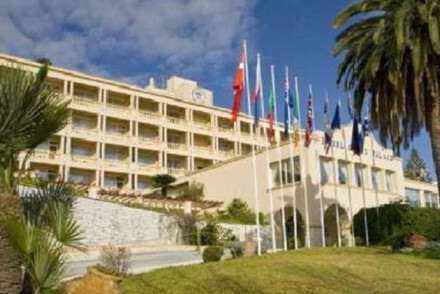 A luxury seafront hotel with a private beach and lovely pool terrace area with an ancient olive tree. The sleek bars and restaurant are the height of luxury with designer pieces and stylish artworks, while bright, elegant rooms and suites have floor-to-ceiling windows. A sophisticated seaside base. A large cliffside luxury hotel, with an array of bars and restaurants, both al-fresco and inside. There are various pools and terraces with amazing views of the sea, ideal for romantic sunset walks. Bright rooms are refined and modern, with simple, tasteful decor. A lovely coastal treat for couples. A chic luxury hotel enclosed by a pretty garden with a pool and comfy, relaxing loungers. The minimal style is fresh and contemporary while the artisanal pieces add a cool artistic feel. The designer rooms feature indulgent beds and crisp white linens. A perfect romantic bolthole. 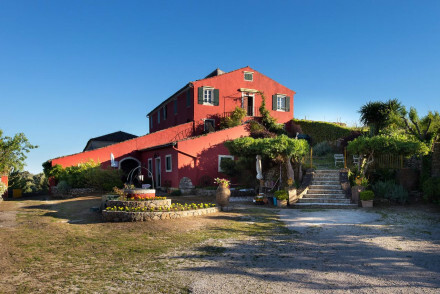 Starting life as an 18th Century farmhouse this chic country club features accommodation located in refurbished stables, old olive press and original farmhouse. The bedrooms and suits are full of character, with antique furniture and beautiful private terraces. A hearty brunch served until 11am. Families - Family suites available and with babysitting services as well as on and off site activities they will have plenty to do! A stunning luxury hotel boasting an enviable location on a private stretch of white sand beach with spectacular sea-views. Chic white-on-white style dominates throughout lending a cool fresh feel. Expect a selection of superb restaurants, a spa area and kids-club all included in the price. The Corfu Imperial exudes old-school grandeur in the best possible way. With private beaches, a plethora of restaurants, and superb sports and leisure facilities for couples and families, it's a destination in its own right. 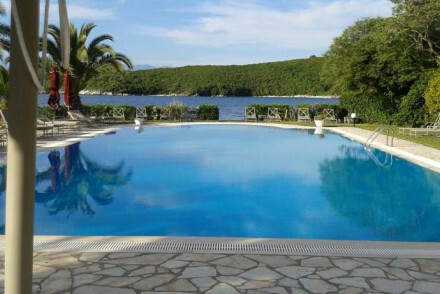 Exclusive, and in our view the best on Corfu.